Have you ever thought why attackers are able to hack the security of our Android mobile? Well its mostly because we look over some minor yet silly things . There is a lot of risk involved when we talk of Android mobile getting hacked, the worst being losing private data. The risk can come from something as simple as a harmless app downloaded. So, the smart thing to do is to take necessary precautions. So, what can you do to secure your Android mobile? The answer is, a lot! In this post, we will discuss with you the 10 best tips to secure your Android mobile from hackers. Locking a phone is a very simple task! Isn’t it? but most of us don’t do it. You can get into trouble when someone steals your phone from your pocket and it contains confidential information like credit card details, passwords etc. Now the question arises, “What is the best way to lock your phone?” The answer to which is, multiple passcodes. 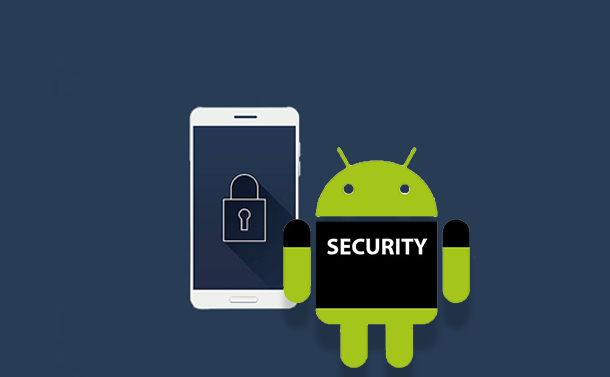 This method will help you secure your Android mobile from unauthorized access. We recommend you to always lock your home screen with password, so that will secure your phone when not in use. We also suggest locking your phone applications which contain your personal information like social media apps. Locking phone is the best safeguard for your phone. Android phones give you the option to make password hidden. This option works for all installed apps. You just need to go the Settings of your phone and uncheck the option “Password typing visible”. This will reduce the risk of passwords being revealed to an unauthorized person. Two-Factor authentication is the best way to secure your e-mail accounts from cyber-attacks. Google, Yahoo, WhatsApp, Facebook, Twitter provide two-factor authentication feature. You just need to create a strong password to login to these apps and then verify the password with two-factor authentication process. Once you enter your personal password to login to these apps, they send you an OTP (One Time Password) on your mobile phone or e-mail account and you need to enter that OTP. Once you enter the OTP, the information is sent to the servers for verification procedure. Once successfully verified, you will be able to login to your account. Encryption is a process which helps you to encrypt all your data. During encryption, they encode your data in a manner so that an unauthorized person cannot access. You need to set a password for encoding the data and to decode it later you must enter that password. It provides a high layer of security to your phone. So that nobody can access it easily without the password. Read Also : Is Your Android Phone Invading Your Privacy? Whenever you download any application from Google Play Store, you must be ensured that the application belongs to their official website. However, there are also some bogus apps available on Play Store with identical name. Most of the Android malware arrive from untrustworthy third-party applications. So, always download and install the apps from trusted source after checking all relevant information. Sometimes, when we sit in a coffee shop or restaurant, we try to avail the free Wi-Fi services. Despite knowing about the risk of using Wi-Fi from untrusted source we still go ahead and use it. So, we recommend being on the safer side and use mobile Virtual Private Network (VPN). You can use some trustworthy VPN service providers like, F-Secure Freedome VPN, NordVPN etc. Sometimes, we do not have the option to set the previous or last password. Writing a password on a paper is also a bad idea and you cannot memorize all your passwords. So, you can try a trustworthy password management app to create a strong password. There are many apps available like LastPass, 1Password etc. which will not only help you create a strong password but manage them also. So, always try to use a password management app which will help to manage your passwords. This is one of the most important step that you can take. Whenever an update comes for your device, update it on regular basis. It is the most important weapon to fight against any bug attack on your device. The update comes with bug fixing which helps to make your device secure and improve. Always update your Android device to the latest OS and update your applications regularly if any update is available. Most of the users do not take backup of their phone data and it is very common nowadays. Most of us prefer to save our data in MicroSD card. However, if your SD card gets corrupted due to some wrong operation performed by you then you cannot recover that data. So, taking data backup is not a bad idea and it doesn’t take much time. Google has various tools where we can upload our data and access anytime. Google Photo can save videos and pictures and you can sync it with your device. Google Drive is also a good option to save your backup of data. It is a great service provided by Google. As you use Android, you must be aware that most of the apps ask for permission to access some data from your phone. They ask permissions like, Camera access, Location access, read messaging services etc. Sometimes, we give all the permission to an application without reading. This slight mistake can breach our security. So always read proper permissions then allow the access to an app. If you unintentionally gave the permission to any app then you can change the permission of the app from Settings of your phone. So here were some basic Android security tips to secure your Android Mobile. You could secure your virtual life. If you like this post, you can share your comments in the section provided below. Can Artificial Intelligence And Machine Learning Save Us From Natural Disasters?